Farm Girl Pink....: ~ Vintage Kromex... lots of pretty!!! 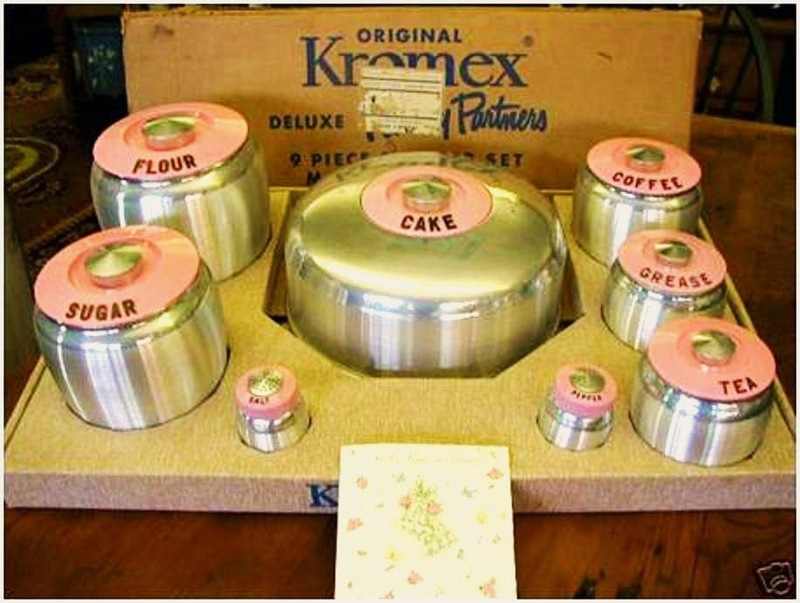 One of my prized vintage kitchen possessions, my set of pink Kromex canisters. Love them! I had snagged this advertisement of Kromex at least a year ago. It is the only time I have found any kind of print work showing off the four colors of lids offered for these canister sets. 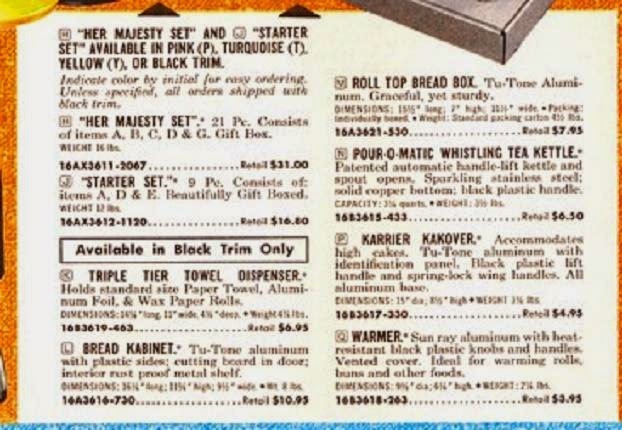 What it also shows off... is that there was a "Her Majesty Collection" set. Which was all of the counter top collection. Canisters (6), S & P shakers, flour and sugar shakers, spice rack and cake carrier. In the color of your choice. Now if you have never seen this picture before... prepare yourself. It is unicorn of the vintage Kromex world. Yep. That is a MIB "Deluxe Kromex Starter" set. 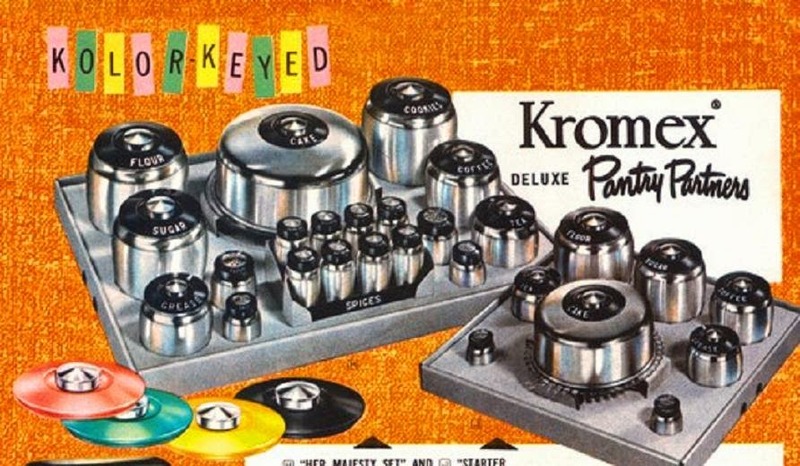 I have never seen a box set of Kromex in person. It is glorious. Sadly, this set lives in Australia. Where I suspect, it is much loved by its owner. Speaking of Australia... 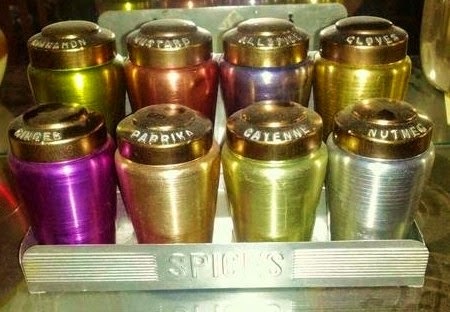 I came across this delightful spice rack. Which was listed a "Harlequin Anodized" spice rack. 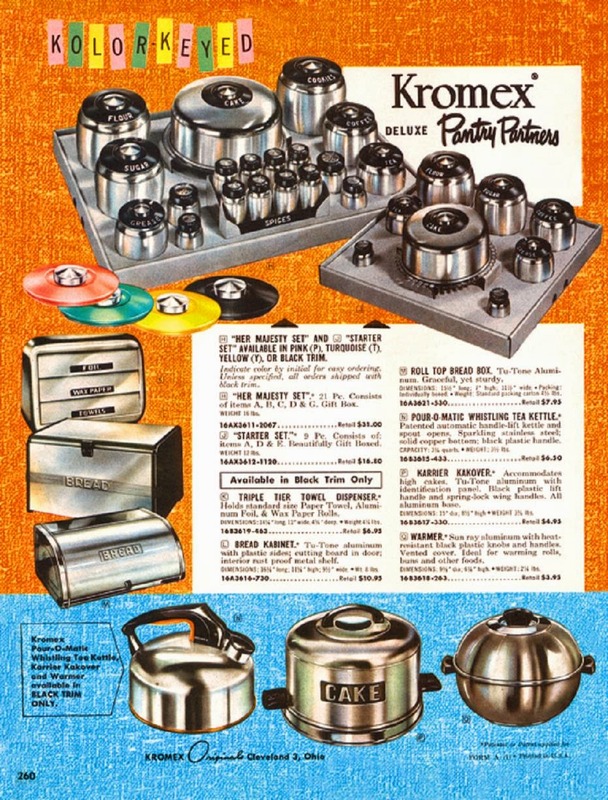 It does look a lot like the Kromex spice canisters. And I have not come across another one since I saved this picture. But this was a product sold in Australia. Not something that was sold in the US market. Isn't it just divine! Kromex did issue a line of canister that had the copper color finish. Which got huge in the 1960's. Lots of the vintage copper color kitchen stuff to be found in the antique malls too. 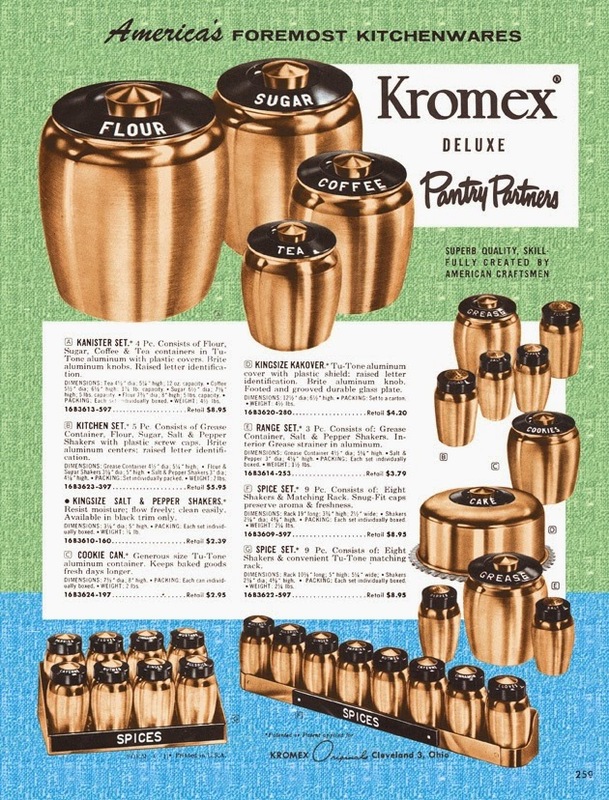 The Kromex copper canisters never did anything for me.... not after I having seen the ones in turquoise and pink!